Nearly six months before Britain is due to leave the European Union, London mayor Sadiq Khan has called for a second referendum on the country's membership of the bloc. But Gove himself offered a strong hint that he wants May's Chequers Brexit proposal - which has been criticised by hardline Brexiteers for being too soft - to be revisited and made tougher after Britain leaves the EU. 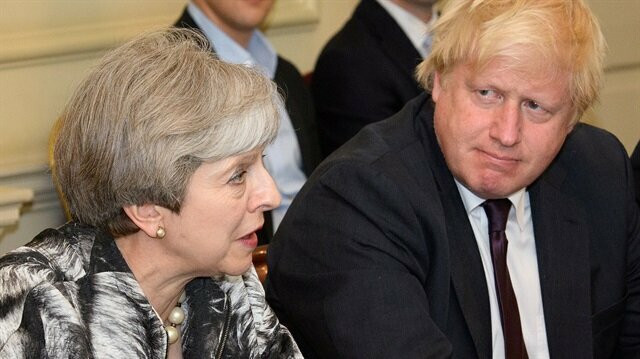 Former British foreign minister Boris Johnson has said the EU's fallback position for the border would mean Northern Ireland was "annexed" by Brussels. 'But the Chequers approach is the right one for now because we have got to make sure that we respect that vote and take advantage of the opportunities of being outside the European Union'. But yesterday he said ministers could "easily" ask Brussels to "suspend" the UK's exit next March and hold a referendum with the various choices of accepting the Brexit deal or remaining part of the bloc. And I think that would be a profound mistake'. "So what I'm saying to the government is for the first time, the British public should have a say on the outcome of those negotiations, including the option of staying in the European Union". Appearing on the BBC's Andrew Marr Show, where he was played a voice clip in which he argued against the prospect of a second poll, asserting it would fuel massive "cynicism" amongst voters, Khan argued another vote would not be "a re-run of the referendum" but the public having their say over the outcome of negotiations. He dismissed suggestions he was trying to distract from his track record as mayor. Labour's global trade spokesman Barry Gardiner said a second referendum would throw the Conservative government a lifeline. The party's worldwide trade spokesman said the 2016 campaign had caused "real divisions", adding: 'I think the challenge now is to try to heal society.' But Labour has not taken the option of another vote off the table. "It's time to take this crucial issue out of the hands of the politicians and return it to the people so that they can take back control", the mayor said.